AWESOME PROJECT: Walk this way, L.A.
It’s a sad fact that L.A. is designed for cars, yes, and that for a long time it’s been dominated by car culture. But the idea that it’s impossible to walk anywhere in L.A. is not one Angelinos have to subscribe to, and the folks over at pedestrian advocacy group Los Angeles Walks have plenty to say on the matter. 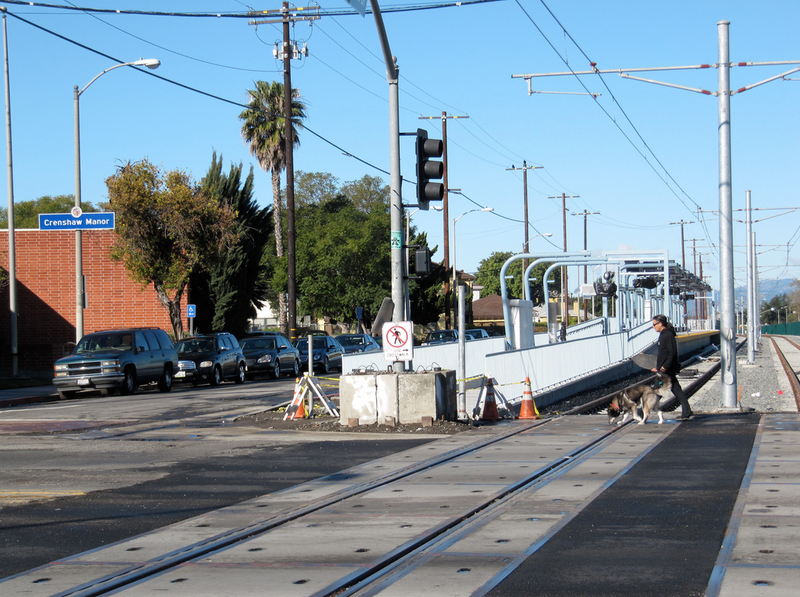 “There’s actually a very large public transit-dependent population here,” says LA Walks staffer Colleen Corcoran. “So it’s actually an urban legend that people don’t walk here.” The problem is that even transit-dependent neighborhoods aren’t pedestrian-friendly. There’s a serious, city-wide lack of crosswalks, for starters, so that pedestrians are forced to walk far out of their way or dart across unsafe roads. There’s also a big “first mile/last mile” problem keeping people in their cars; there may be a transit hub a mile or two away, but people simply don’t feel safe walking it, or don’t realize how manageable that distance really is. But maybe some of the biggest barriers between Angelinos and their nearest transit station are just psychological. Maybe if people were invited to experiment with walking, and provided wayfinding signage that stated exactly how many minutes away their destinations were, we’d see more feet hitting the pavement, more riders on the trains and busses. After all, signs work. Ever been confronted by a sign nudging you to “take the stairs, not the elevator: burn calories, not electricity” and found yourself actually heading for the staircase? In theory, signs may seem bossy, but in practice, they’re usually helpful – even comforting. Someone wants to help you choose, help you stay safe, help you find your way. 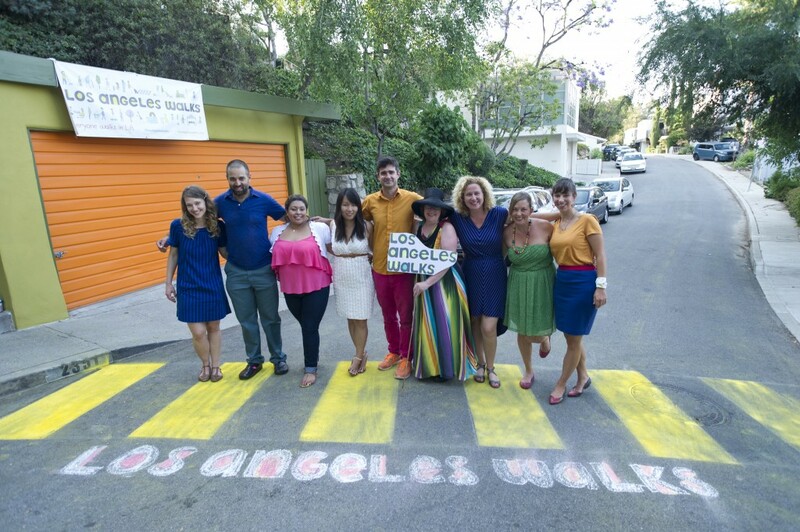 Corcoran and her team leading their ioby campaign plan to discover if very good signage can get Angelinos walking. Over the next year, they’ll work with two local artists to design10-20 signs in a hand-painted aesthetic, and install them around L.A.’s Leimert Park. The exact signage locations will be informed by a community mapping exercise. 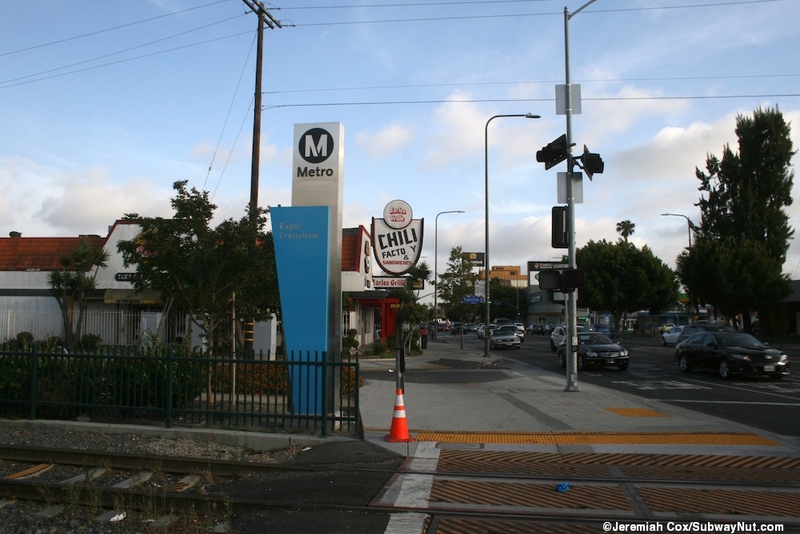 Their goal is to get people oriented through a pedestrian’s eyes, and to show them how easy it is to walk from transit stations to various points of interest in the Leimert area.